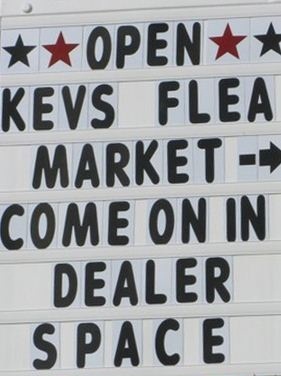 Welcome to Kev’s Barnyard Flea Market Co-Op. Established in June 2010, we are a multi-dealer flea market co-op that carries a wide array of merchandise from antiques to pre-owned items and furniture. Our co-op sits inside a historical 19th century post and beam, New England barn that you will find difficult to match. Merchandise is constantly changing as new vendors arrive each month. We are conveniently located at 185 W. State St, on the well-traveled Route 202 in Granby, Massachusetts and have ample room for vehicles with two large, gravel parking lots. Website Design by Northeast IT Systems, Inc.